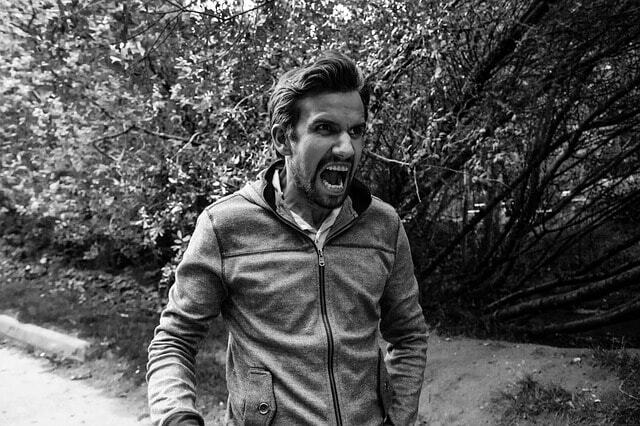 Do you struggle to control your anger in certain situations? Have you ever had a moment where your anger seemed to fly out of control in a matter of seconds? Perhaps people describe you as being “too sensitive” or you feel like people know how to push your buttons. If any of these situations sound true, you’re probably experiencing your emotional triggers. Anger triggers are like any emotional trigger. It’s a sensitive area in your emotions that gets stirred up by a certain situation, person, topic, etc. No need to fear. We all have emotional triggers. Different situations can trigger different emotions for everyone. So what creates these different triggers? Your life experience makes the difference. The things you experience in life trains your brain to react in certain ways. The things that can trigger an emotion are almost endless. It could be a certain word, an action, a place, or a person, the list really could continue. It’s anything that your brain associates with a certain memory from your life experience. The tricky thing about triggers is that you may not be aware of them. As a Denver anger management counselor I often hear things such as “I just lose control of my anger, but I don’t know why.” In these situations your emotions are being triggered without your awareness. Some of your triggers might be obvious. You might know that if your wife looks at you a certain way you can get really angry. Perhaps your kids do something in particular that can really set you off. The first thing you have to do in order to change an anger trigger is to identify what is setting you off. During anger management counseling you will learn how to identify and become more aware of your anger triggers. Awareness is the foundation for doing good therapy. One of the beautiful parts of counseling is bringing things into your awareness so that you can change how they impact your life. Becoming aware of your anger triggers gives you the freedom to control your own emotions. Once you become more aware of what’s triggering your anger you can begin to heal. Often times anger triggers are a result of emotional pain. The work you will have to do will depend upon the trigger. For example your anger might be triggered by your spouse. In this case you will probably need to consider how resentment is affecting your relationship. In this situation you will need to work on forgiveness to change your anger trigger. Often times anger triggers require working through some negative or traumatic experiences in your life. Common traumatic experiences related to anger include things such as experiencing abuse as a child, being attacked by someone, or a situation where your physical safety was in danger. Working through something such as a traumatic event or life experience might require some additional help from a mental health professional. If you find that you just can’t seem to control your anger, you can find a qualified therapist in your area. Need help with anger? Talk with a Denver anger management counselor.